I have frizz-prone hair with a whole lot of flyaways and unruly bits that tend to stick out every which way, and most times I rely on blow drying to get my hair to sit in place. I don't reach for flat irons all that often, but they are convenient to have around if I need my hair looking smooth and sleek. 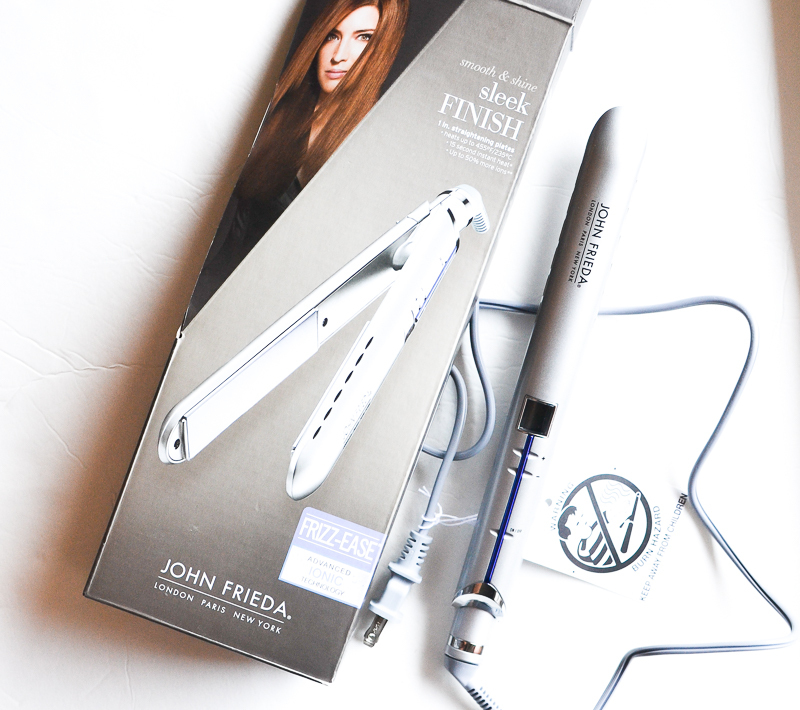 I recently got to try out the John Frieda Sleek Finish flat iron, and talk about judging a book by its cover, soon as I saw it I was in love with design. The dull metallic finish and the minimalistic layout of the controls all really appealed to me. The flat iron claims to utilize 1-inch plates (featuring a fusion of titanium and ceramic) and ionic technology to deliver a sleek finish while customizable digital settings help choose the right temperature for every hair type. Scroll on to know more. It's officially fall now - my favorite time of the year - and no surprise, the fall/holiday makeup collections are the ones I most look forward to trying out. I just cannot resist the luxurious gold packaging and lovely warm, rich colors that invariably show up in every fall collection. 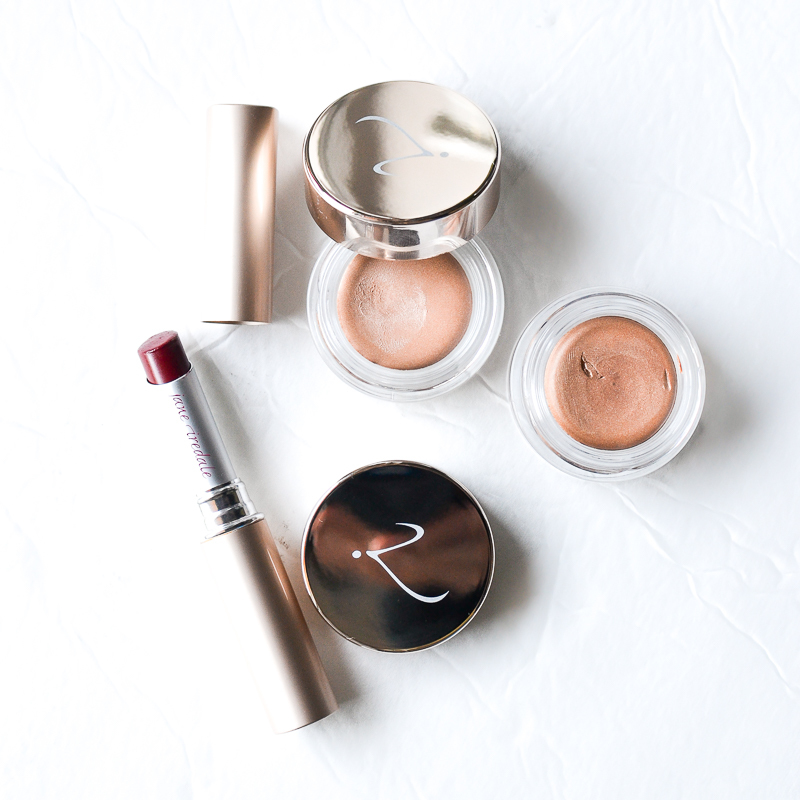 I haven't been able to do much store hopping, swatching, or even plain old blogging lately, though, because of my never-ending computer woes, but today's post is a quick peek at some gorgeous goodies I got to try out from the Jane Iredale Fall 2016 collection. With a focus on defined brows and bold lips, this collection celebrates the classic golds and reds of fall. The products I got to try are the cream-to-powder eyeshadows - aptly named Smooth Affair - as well as the Puremoist Lipstick in Cindy which is a classic red shade. Scroll on for more. Yousou (pronounced ya-su) is a new-to-me skincare brand that combines Greek natural skincare philosophy with American technology to create luxurious skincare solutions. The product I have been trying out for a while now is the Yasou Moisturizing Hand Cream. This vegan, gluten-free, cruelty-free (Leaping Bunny certified) cream is packed with natural organic ingredients and comes packaged in a recyclable tube. The moisturizing ingredients include organic extra virgin olive oil and coconut oil, and the cream also has added bacteria fighter ingredients and soothing botanicals. Scroll on for more. Marc Jacobs Air Blush Soft Glow Duos launched a little while back, and I got lucky and received one of the shades - Kink & Kisses - courtesy of Influenster. Available in five shades, each of these blushes feature two shades - one lighter and another darker shade - that can be mixed and matched to create the perfect natural radiant glow. 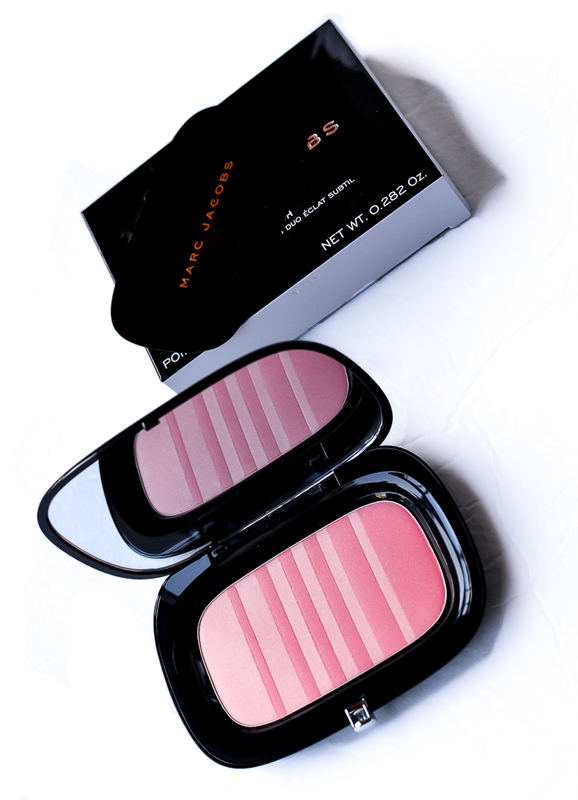 The blush is infused with light weight Japanese air powder and is created with an air-whipped soufflage process that gives it a silky soft, creamy texture that blends easily into the skin. The shade I have is Kink and Kisses - pale petal pink shade and peachy pink shade. Scroll on for more.